Riverwoods, Ill. (Thursday, Nov. 1, 2018) – Fifty-nine percent of Americans ages 18-26 who have taken a financial education course believe the lessons will save them more than $10,000 over the course of their lifetimes, according to a new survey from Discover. 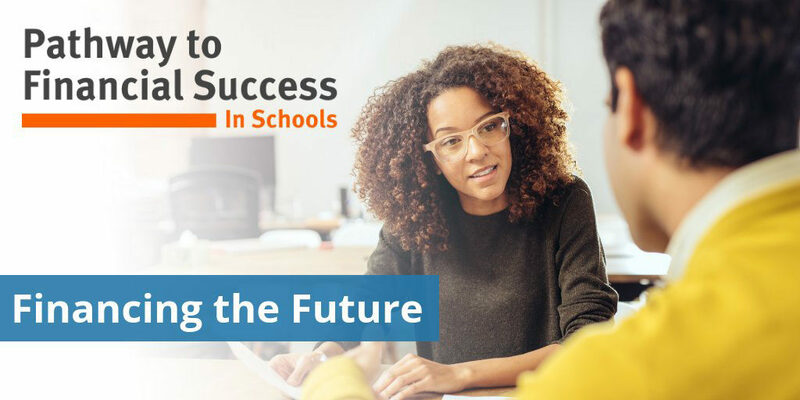 Discover released the survey results today in conjunction with Discovery Education as the two companies announced their Pathway to Financial Success in Schools program will be extended to a younger age group: middle school students. The program provides comprehensive financial literacy curriculum free of charge through self-paced modules, classroom activities and family extension activities. The two companies launched a financial education curriculum for high school students last November. The survey also revealed more than three quarters (78%) of respondents have taken a financial education course at some point in their lifetimes, and 81 percent of those who took a financial education course in college or as adults report feeling somewhat or very confident in their ability to make smart financial decisions. The survey showed more young consumers (ages 18-22) have taken financial education courses (80%) compared to those just a few years older than them (ages 23-26; 76%), which may suggest more schools may be offering financial education as part of their curriculum compared to a few years ago. Further, knowledge about whether schools are required to offer financial education courses seems to be increasing over time. The survey found 44 percent of consumers ages 18-22 live in a state where schools are required to offer financial education courses to students, compared to 35 percent of consumers ages 23-26. “It’s exciting for educators to be empowered to teach students financial literacy and healthy money management habits. Through the ‘Pathway to Financial Success in Schools’ program, Discovery Education and Discover Financial Services are providing students nationwide with engaging tools that make it simple to understand how to make smart financial choices in every aspect of their lives,” said Jacqueline Prester, Business and Technology Teacher, Mansfield Public Schools, Massachusetts. Since its inception in 2017, Pathway to Financial Success in Schools has made a profound impact on high schools across America. It has reached approximately 119,244 students nationwide and continues to empower high school students to achieve better financial futures. Pathway to Financial Success in Schools resources are available at no cost at pathwayinschools.com and are also available through Discovery Education Streaming. For more information about Discovery Education’s digital content and professional development services, visit discoveryeducation.com. Stay connected with Discovery Education through social media on Facebook, Twitter, Instagram and Pinterest @DiscoveryEd. Discovery Education is the global leader in standards-based digital content and professional development for K-12, transforming teaching and learning with award-winning digital textbooks, multimedia content that supports the implementation of Common Core, professional development, assessment tools, and the largest professional learning community of its kind. Serving 4.5 million educators and over 50 million students, Discovery Education’s services are in half of U.S. classrooms, 50 percent of all primary schools in the UK, and more than 50 countries. Discovery Education partners with districts, states and like-minded organizations to captivate students, empower teachers, and transform classrooms with customized solutions that increase academic achievement. Discovery Education is powered by Discovery Communications (NASDAQ: DISCA, DISCB, DISCK), the number one nonfiction media company in the world. Explore the future of education at www.discoveryeducation.com.